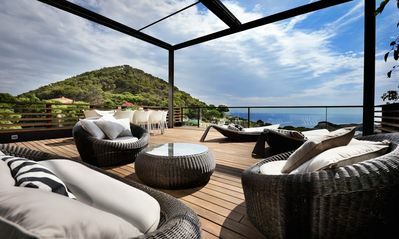 S'Antiga is a wonderful house located in an ideal place for your stay in Begur. S'Antiga has a capacity to host up to 7 people, divided among 4 bedrooms. The house has one bathroom. At S'Antiga you will find: Washing machine, Iron, Dryer. If you wish, you can also use the multimedia equipment: Stereo system, TV. Enjoy your ideal holidays: sun, garden and pool. What else could you ask for? Keep in mind that S'Antiga does not accept pets. Discover Begur and feel like a local.